Are You Using the Wrong Lease? A lease agreement has a dual purpose. It needs to be strong so if the landlord has to go to court, the landlord will win the case. More importantly, the lease needs to gain the tenant’s compliance. Sure, the lease needs to contain a lot of legalese, but it also needs to be understood. The same form regardless of the number of tenants on the lease. These leases are characterized by “check the box” options, long titles, and numerous blanks to fill in. In an attempt to cast a wide net, a lease this generic often misses the target. First, there is the risk that the correct box hasn’t been checked. That can compromise the landlord’s legal rights. Another serious concern is all the paragraphs that follow the “check the box” options. The lease may not spell out the different contingencies, and if it does, it also contains information that is not relevant to that particular tenancy. Tenants should never be asked to sign something that is not relevant, otherwise there is a risk that they’ll tune out and ignore the lease rules altogether. A._____ until _______, ___ as a leasehold. Thereafter it shall become a month-to-month tenancy. If RESIDENT should move from the premises prior to the expiration of this time period, he shall be liable for all rent due until such time that the Residence is occupied by an OWNER approved paying RESIDENT and/or expiration of said time period, whichever is shorter. B.__ until ____________, ___ on a month-to-month tenancy until either party shall terminate this agreement by giving a written notice of intention to terminate at least 30 days prior to the date of termination. There simply is no reason to include this confusing (and possibly incorrect) option in each and every lease agreement. The tenant may think the lease in unfair. Does the landlord allow some people to go month-to-month for the same price? Why can’t I go month-to-month? The other difficulty with this language is that the tenant’s rights under a standard term lease might be different under a month-to-month lease. For instance, the landlord can cancel a month-to-month in 30 days, but a yearly lease may require 90-day notice. By providing the choice, the paragraphs that follow must track both possible options — and that gets confusing. While these types of leases are meant to streamline the leasing process, the result often is the opposite: a convoluted lease that’s much longer than it needs to be. The better strategy: break it into two separate lease forms — the yearly term and the month-to-month — and use the form that fits the specific situation. So, which is it? There actually is a legal distinction between a lease and a rental agreement, and the language that follows must cover either option in order for the lease to be legally effective. Landlord/Lessor/Agent, _____________________________, shall be referred to as “OWNER” and Tenant(s)/Lessee, _____________________________, shall be referred to as “RESIDENT.” RESIDENT will rent or lease the premises…. Here, the agent is also the owner? Who’s the landlord? What if there is more than one Tenant/Lessee/Resident? There’s no good reason for these options. All this does is create confusion. Worse, a lease this generic actually can lead to mistakes that will affect interpretation of the lease if there’s a dispute. Another example is an online lease intended for one tenant. It lacks provisions regarding joint and several liability. Yet, the signature line allows for multiple tenants. Multiple tenants require a multiple tenant lease that provides the appropriate language, not just the right number of signature lines. This type of language is typical in a generic lease, like one used for multiple properties even though there are different lease conditions. It’s problematic because the landlord might tick the wrong box and change the meaning of the lease. Also, tenants might see it as an invitation to negotiate: Do you ever offer free cable? Typically, the landlord already has decided which utilities are covered and which are the responsibility of the tenant. And some of those fees listed — like stormwater — may not apply to either party. It’s easier for the tenant to simply spell it out: You have to pay for cable TV. Alternatively, use a positive spin and advertise which utilities are included: Rent INCLUDES gas and electric. Woo-hoo! Find that it violates consumer protection statutes and award damages to the tenant — and all other tenants and rental applicants who encountered it. To some degree, fairness is in the eye of the beholder. For a landlord who’s been burned a time or two, a one-sided lease is perfectly acceptable. But a tenant, particularly one who is inexperienced, might not realize they have the right to push back. That’s what makes this sort of lease problematic. Misleading claims or provisions that an inexperienced tenant would not catch. A lease does not have to be completely balanced so that it’s 50/50, but the more misaligned the equities, the more likely the lease agreement will fail. 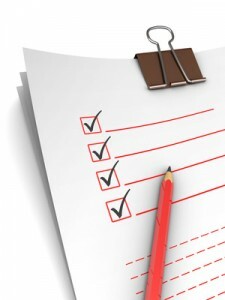 A good strategy for landlords is to rate the lease agreement on fairness, and assign it a score. How many paragraphs are landlord-friendly versus how many also benefit the tenant? 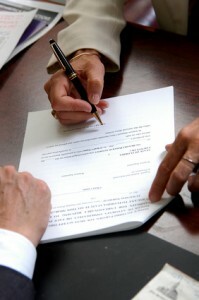 If a lease dispute goes to court, judges tend to look at the relative bargaining power between the parties to a lease negotiation in determining fairness. So, in addition to eliminating obviously illegal or unnecessary one-sided provisions, this issue can be resolved by encouraging tenants — in writing — to read the lease completely and seek the advice of an attorney before signing it. Landlord Tip: Don’t gut provisions from your lease agreement without first talking to an attorney. This is a surgical process that requires legal expertise. Keep in mind that enforcement of the lease is not the endgame. If the tenant abides by the lease and the tenancy is successful, enforcement isn’t even an issue. The more unfair the lease provisions appear to the tenant, the less likely the tenant will respect the landlord. One-sided leases in that sense are ineffective, and should be modified. With some effort, a landlord can impress upon the tenant the need to follow the lease agreement, and the tenant may show a willingness to cooperate. That’s why it’s a shame if the lease agreement doesn’t do its job. The lease agreement spells out the rights and responsibilities between the landlord and tenant. That needs to translate into a day-to-day protocol so tenants know what is expected. The best case scenario is a lease that the tenant can consult when questions come up. Who shovels snow? Who takes care of bugs? What happens if the tenant wants to bring in another occupant? With so much emphasis today on simplicity, modern lease forms are getting shorter. As a result, many leases will cover most of the bases, but not the everyday issues. When it comes to managing a rental property, cutting corners doesn’t always pay. In fact, it can spell trouble for months to come. Tenants have to take out their trash. Arguably, a shorter lease saves paper — and time — and seems simpler. But, in this case, for the same amount of paper, the landlord could have added two and a half more pages of content, and described some of the day-to-day issues that matter most to the tenant: Can I pay rent online? Where do I park? What happens if someone is in my space? What do I do when something breaks? Who do I call if there is an emergency? Can I smoke? Grow pot? Ultimately, the lease should be a guide that protects everyone’s rights. It shouldn’t be a list of everything that the tenant is not allowed to do, and it shouldn’t be paragraph after paragraph of language that only lawyers understand. The better the lease, the better the tenancy.